ARTconnects - sister-hood magazine. A Fuuse production by Deeyah Khan. ‘We live in times where people are wary: wary of migrants … There is a Brexit backlash because people are scared for their jobs,’ said Valentine Besry, taking part in an ARTconnects workshop in South Yardley Library in Birmingham in the UK. As an economic migrant to Birmingham, who is originally from Guadeloupe in the Caribbean, Valentine said that while she had felt very welcome, she was now concerned about the impact Brexit would have on her and other migrants in the future. Together with more than 20 women from different cultures, including the UK, Morocco, Yemen, Pakistan, Bangladesh and India, Valentine expressed her thoughts and feelings about the acceptance of varied cultures in the UK on canvas. The workshop was part of a project conceived by the humanitarian artist Salma Zulfiqar with Arts in the Yard, the Arts Forum for the Yardley District in Birmingham. Supported by Near Neighbours and the Aziz Foundation, the project will run until April 2018 promoting better integration, particularly of women, in the community. ‘We’ve been involved in quite a lot of social cohesion work in Yardley, but this project is allowing conversations to take place that we haven’t heard before. 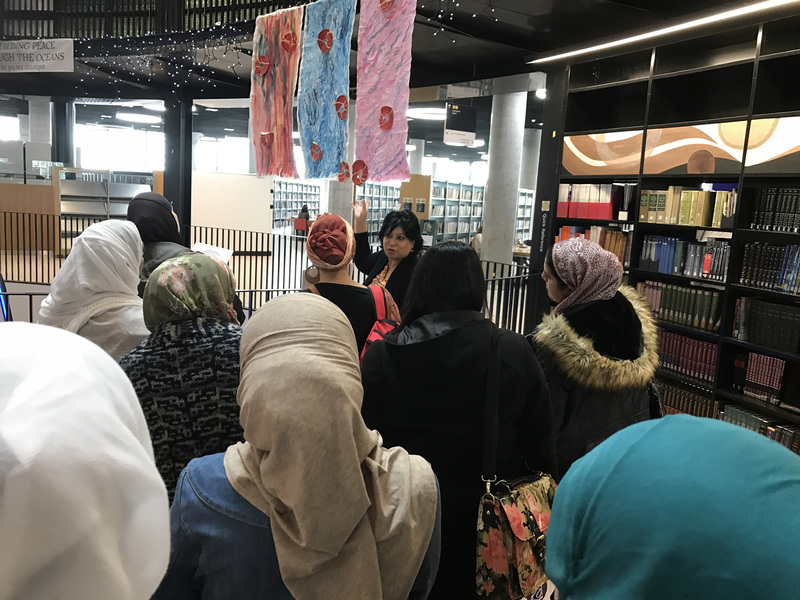 It is refreshing to hear local Muslim women speaking on their own terms to other women from Yardley, and for us all to realise that deep down, we aren’t that different from each other,’ said Nicola Toms, Project Manager for Arts in the Yard. Arts In The Yard is part of a city wide Arts Forum initiative across Birmingham, overseen by No. 11 Arts. Arts Forums have a wide remit to ensure residents’ equal access to the arts. Their work is shaped by a cultural co-design model, often working within the areas of community cohesion and giving marginalised groups a voice. Hate crimes increased over summer 2017 in the West Midlands, particularly against Muslims, according to newspaper reports. The number of incidents reached almost 20 in June. Tell MAMA, a national organisation tackling hate crimes, believes that the number could be even higher as many incidents go unreported for fear of reprisals. 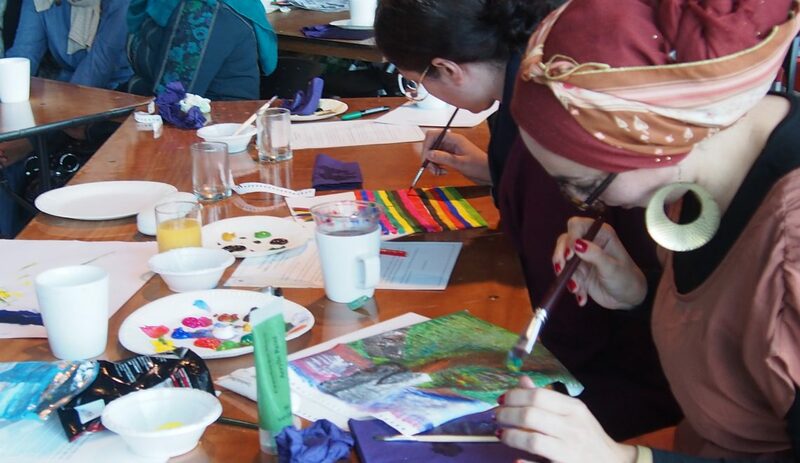 ‘ARTconnects is about bringing people together to share their cultures and learn from each other, at a time when we are seeing hate crimes increasing and a lot of distrust brewing in communities, particularly following the Brexit vote’ said Salma Zulfiqar, artist and facilitator of the workshops. Salma Zulfiqar, Building Peace Through the Oceans on display at Birmingham library. The idea was originated by Salma Zulfiqar as part of her migration project to tackle racism against migrants and promote integration. The project consists of an art installation called Building Peace Through the Oceans and a series of workshops to create better understanding between communities at this critical time. The artist also recently organised a debate on migration at the House of Lords, chaired by Lord Sheikh. Together with representatives from the United Nations Migration Agency IOM, UNHCR and Tell MAMA, Salma Zulfiqar and others presented arguments to influence policy-making on integration. 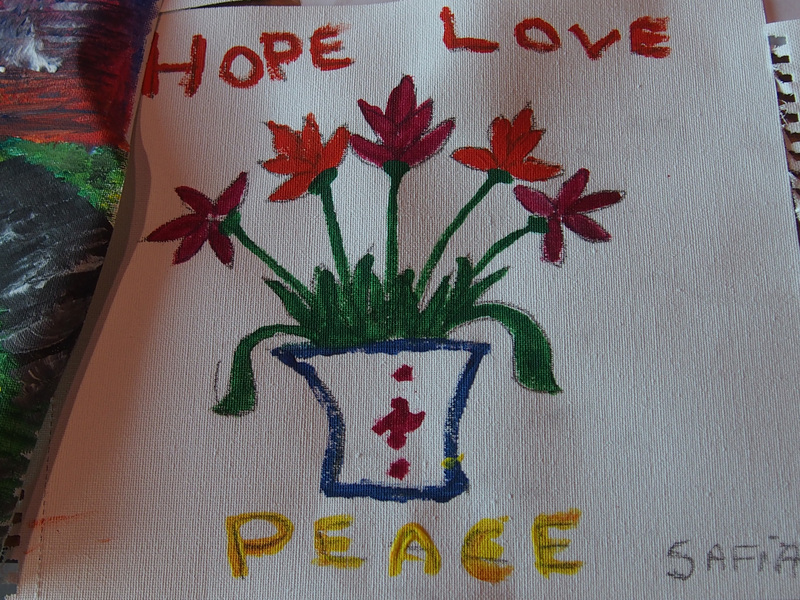 In the workshops, women created pictures representing their favourite places around the world, celebrating UK culture and their own culture – showing the things they have in common as well as iconic images portraying the need to protect the human rights they value. ‘I haven’t been to a workshop like this before, it’s really good for breaking down barriers between people from different cultures, and the women are learning from one another,’ Valentine said. ‘We all have things in common and share common values like humanity and peace, and we need to embrace the culture we are living in,’ said Bano, originally from Pakistan. 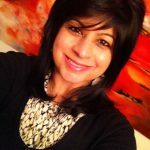 Salma Zulfiqar's artwork has been influenced by her travels around the world to cover humanitarian issues in countries such as Pakistan, Afghanistan, Bangladesh, Sri Lanka, India, Iran, Yemen, Syria, Lebanon, Egypt, Yemen, Kenya, Cameroon, Chad, Cuba, Brazil and Spain. She has explored the themes of nature, culture and textiles thorough abstract form and mixed media. Salma's artwork has been exhibited in London, Birmingham, Paris, Dubai and Kabul.